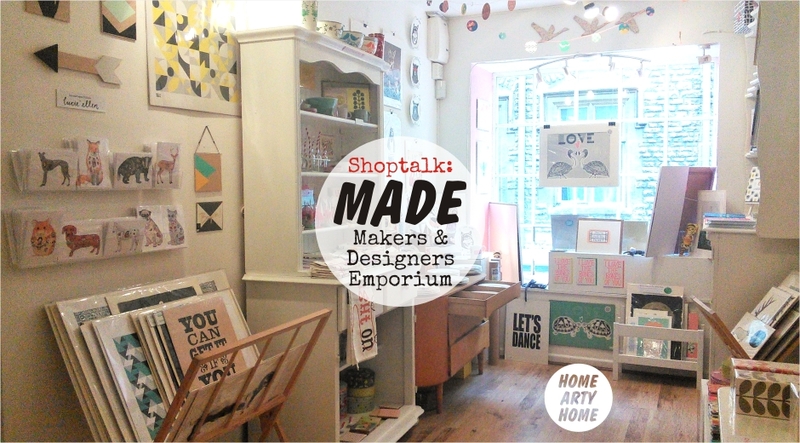 A clever acronym for Makers And Designers Emporium, Made is a gem of an independent store supporting independent artists and creatives. 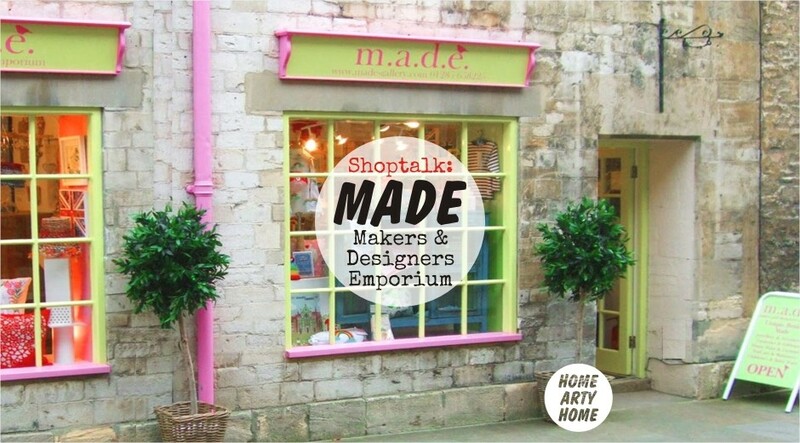 Founded by Louise Bonham and Sheena Jennings Dash, both of whom are makers themselves, the store is in Cirencester in the heart of the picturesque Cotswolds. In a chocolate box location of yellow-stone buildings, it’s great to see an independent store providing a showcase for independent designers and artists, including many Home Arty Home favourites such as James Ward (also known as Jimbob Art), Bold & Noble, Stuart Gardiner, Hazel Nicholls, Sophie Parker, and Charlotte Farmer. With art prints and greetings cards alongside tea towels and ceramics, Made also offer books, jewellery, bags, watches, and a wide selection of adorable goods for babies and children, including clothing and toys. We got in touch with the founders to find out more about the store and the importance of unique designer-makers. Our bricks and mortar shop opened in April 2008 and we launched our online shop in April 2013. 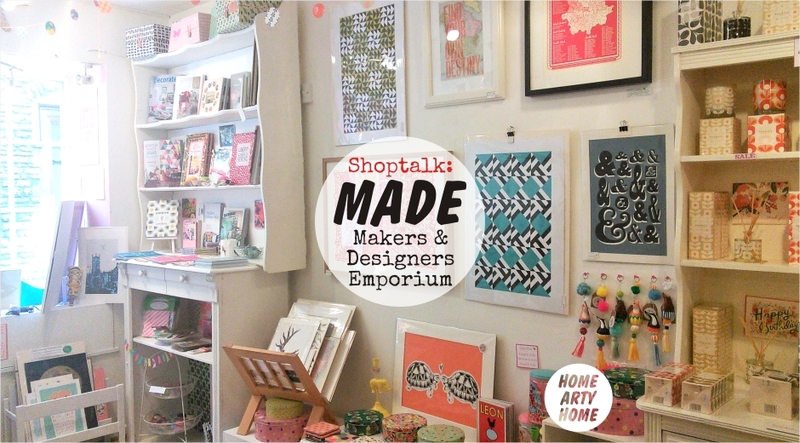 We wanted a unique space to sell our own creations as well as other makers. 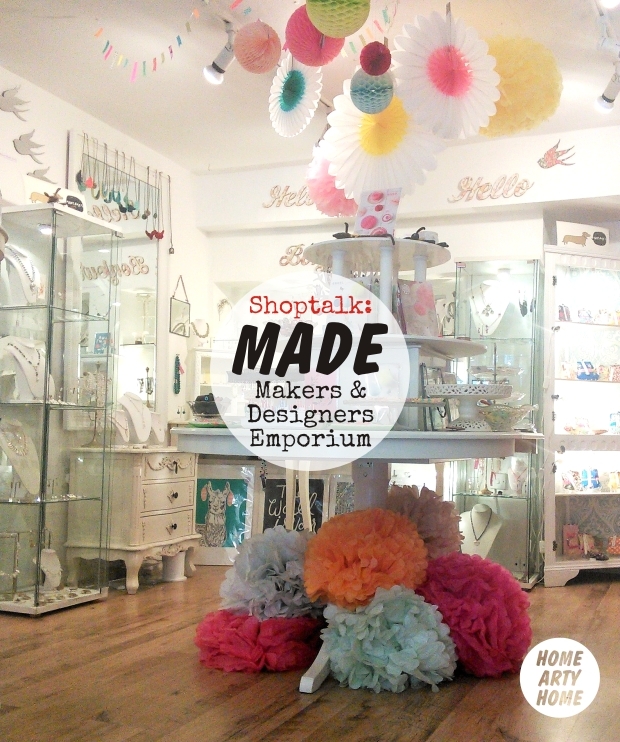 Cirencester needed a shop where unique, British, quirky, on-trend wares could be found. 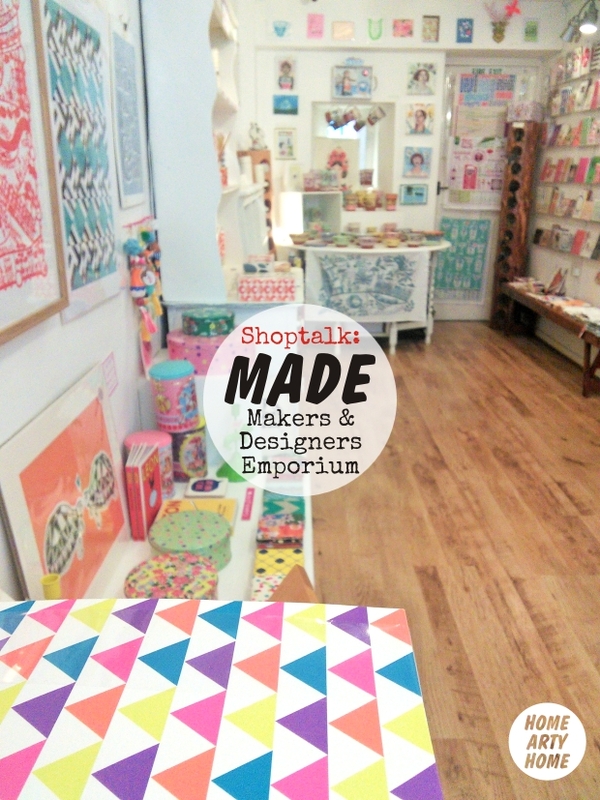 We both knew of makers and designers collections who needed a platform to showcase their wares. We knew that collectively these makers could be brought together to create somewhere unique for people to peruse, be inspired and shop. 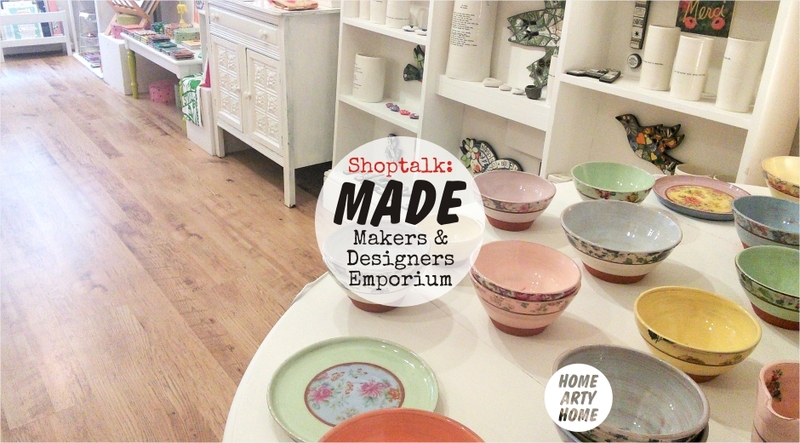 Which artists & artistic home wares designers do you carry? 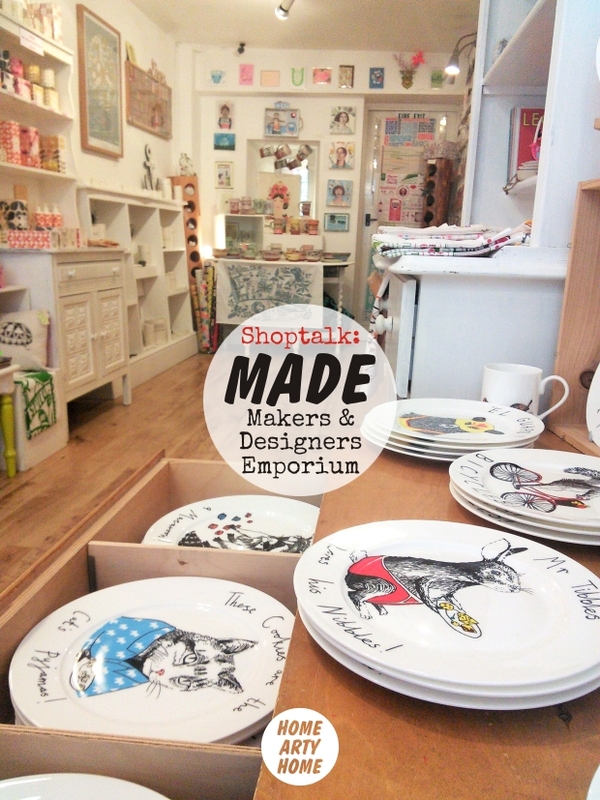 We currently stock on behalf of 250 makers, designers and artist, a few of which are James Ward ceramicist and artist, Jane Booth earthenware ceramics, Petra Boase baby- and gift-ware, and Bold & Noble screen printers. Also, Hazel Nicholls, Freya Ete & Sophie Parker greetings cards, Milla Maddern cosmetics, Vintage wallpaper words by Ava & Bea, Little Birdy porcelain woodland creations, reclaimed vintage ceramic mosaics by Adele Zaslawska, and children’s hand-painted tambourines by Claire Fletcher. Quality, uniqueness, to be on-trend, bright, bold, colourful in design, with a commercial edge. Rhea Clements, Kitty McCall, Becci Maryanne, The Print Basement, Ginger Line Designs, Red Bird Makes, Natalie Strachan, We have our eyes on some very up and coming makers so watch this space. You offer new and independent work – is it important to support new designers? We take time to explain to our customers how, where, and who made the items that they are interested in. Customers comment on how important it is to support a business like Made as they enjoy owning wares that are individual, have their own provenance and will be cherished for a long time to come. As makers ourselves we know how important it is to gain recognition therefore Made is all about supporting makers and designers. Visit the Made website to see more.